Rector of UFMG, placed in the southeast of Brazil, the most industrialized region of the country. UFMG is a free-of-charge public educational institution, in the oldest university in the state of Minas Gerais. “To be a feminist means to have a position in which you believe that you are able to do whatever you want to do without having to tell people that you have the right to”. So speaks Sandra Goulart Almeida, Brazilian professor and president of the Federal University of Minas Gerais, who devotes her work to the research of feminist literature, its history and its parallels in today’s world. Literature has always been a reflection of our society, so it’s only appropriate that female writers get a long denied focus by intellectuals such as Sandra to better understand matters of cultural identity regarding the role of the woman all over the world, while also zeroing in on the ways that language builds us as members of one great community. Listen to Sandra shed light on female authors who discuss the identity of women throughout different cultures, as well as how these identities and cultures must be approached and respected through external mediums to preserve and expose its ways of life and thought. 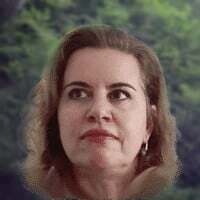 Sandra: I’m Sandra Goulart Almeida, I’m a professor at the Federal University of Minas Gerais, in Brazil. I’m also currently the president of the university. Nerina Finetto: Thank you, Sandra, for joining me. What are the topics you are interested in? Sandra: I like to work with comparative literature. I like to see what women are writing about; so mostly I work with contemporary women writers, and I like to see what they are writing from different parts of the world. So that’s what I’m passionate about. So for that reason, I’m also interested in feminist criticism, and also in the notion of cultural translation, since I work with literatures in English, and literatures in Portuguese. I think these are fields that are very exciting for us today; it’s a good time for us to be discussing those issues. There are, I think, in the history of literary studies, it has never been so many women writing. Sandra: So I’m interested in researching about what women are writing at the moment, what are they interested in. Nerina Finetto: What are women writing about? Sandra: That’s an interesting focus. They’re writing about just everything right now. There was a moment in which we could just say that women were writing about their experience as women, you know? They’re writing about taking care of children, about other relations with women, what it is like to live in the private sphere. But now it’s a good, a very interesting time for us, because they’re writing about everything. What I’m mostly interested in, since I work with comparative literature, is how they talk about the notion of space. Especially because I work with women who write in English, but they live, for example, in other countries. So they are part of what is known as contemporary diasporas. So I am interested in that as well, what these women are writing about. Nerina Finetto: And what are these women writing about? Sandra: I just published a book on space, women writers and space, the notion of space, diaspora, migration. So I’m doing some research, also, on two aspects of what women writers are talking about. First one is the notion of affect, that a lot of women writers are choosing some affects of emotions to talk about the present moment. But most of them are angered, we have a lot of notion of anger, fear, you have that as well, so I’ve been working with that. And now I’m starting a research on the notion of post-human feminism, that is, women writers, how they’re also writing from others’ perspective. In the effect that believing there’s not a centrality of the human anymore. That are other things that we have to concede when we are discussing our contemporary world. Nerina Finetto: What kind of things? Sandra: Some women, I can give an example, Margaret Atwood was a Canadian writer, who’d been writing a lot about that, about how the future is going to be a society in which humans are going to share either physical or psychological, or even the space without animals, but also with machines as well. So the fact of that, we live in a nature that there is no way that we can have the centrality of men, as we understood that, for example in the 19th century or in the previous century, some questioning, showing how women are writing about those topics as well. Nerina Finetto: Do women write in a different way than men? Sandra: You could say that, especially in the past we could say that the women, they tend to have a different way of writing, but I think this question doesn’t take us anywhere. The question of sexual difference, I believe that it does more harm than good, because then we start establishing “rules” for how women should write and how men should write. And I think that’s not what I am interested in. I think women are writing regardless of what we say they are writing about. There are a lot of women who are writing about the experience of migrants, as refugees or people who live in transit. It’s something that’s more recent for women to write about; it’s nothing about the private sphere, they’re writing about what it is like to be out there, so I am interested in that. I think asking whether they like different from men, limits the scope of what they can do. Nerina Finetto: This means that actually we do not need these categories, ‘men’ and ‘women’ writers. Nerina Finetto: But at the same time, you tell me that you are interested in female literature. You do not say “I am interested in literature”. Why? Sandra: For historical reasons. Traditionally, there are more men writers, it has always been easier for men to publish. Being a writer was something that men were, not women in the 18th century. Women started really publishing extensively in the 19th century, over all. So the area of literature, of writing, is traditionally dominated by men, so I think there are two different things here; one, it’s the historical conditioning of women as writers. Either they were silenced for many years, or they were published and nobody knew about them, or because they were not writing because the social and political and economic conditions were not favorable for them. And now we are in a very good time in history, and we could say that the conditions are better for women to write, and they are writing. So I am interested in what they have to say, there is still some kind of prejudice against women as writers, or in all professions in general, so I think it’s a political position, you know, giving visibility to what they write, how they write, what they discuss. Many of them talk about their conditions as women, many of them discuss issues related to the body, you know. So there are some things each day they talk about, and that you don’t usually find in writings by men. Sandra: But again, it does not mean that they have to write about this. My position as a literary critic is not to set up the standards for them to write according to those standards, but rather to see what they are doing, to examine what is behind the kind of narrative that they are constructing. Nerina Finetto: Is there a writer who you admire and would like people to know more about? And why? Sandra: There are many writers I am interested in, as I said I work with literatures in English, and also in the context of Brazil and literature. There is a Nigerian writer who’s been very well-known, and I like her work because of the political position that she stands for. Her name is Chimamanda Adichie. Not only does she write novels, short stories, but also she gives lectures and then they turn into essays. You can find them in the internet. For example, she has a very interesting lecture that she gave about the danger of a single story, so this is available for whoever wants to listen to in the internet. And she also gave another lecture about We Should All be Feminists, that’s the title. And that was turned into a booklet about showing her belief that men and women should all be feminists, so there is a position that we have to take in relation to society. And recently she has published another one about how to raise a daughter as a feminist. So I like the fact that she is a writer; she writes fiction, very very interesting fiction, she talks about several important issues for women, but also for humankind in general. But she also has a theoretical thinking about her position as a writer. And I like that. I think it’s inspiring, the kind of work that she’s doing. Chimamanda: So that to create a single story. Show a people as one thing, as only one thing, over and over again, and that is what they become. It is impossible to talk about the single story without talking about power. There’s a word, an [inaudible 00:08:45] word, that I think about whenever I think about the past structures of the world. And it is “nkali”; it’s a noun that loosely translates to ‘to be greater than another’. Like economic and political worlds, stories too are defined by the principle of nkali. How they are told, who tells them, when they are told, how many stories are told, are really dependent on power. Power is the ability, not just to tell the story of another person, but to make it the definitive story of that person. Nerina Finetto: I really like The Danger of a Single Story and I really like her message and theoretical position. And probably the richness that we can have through different narratives is also one of your main topics, right? Sandra: So there’s something that I am interested in, these women writers are telling a different story. A story that we have never heard before. There is also a Brazilian writer whom I like very much, who’s called Conceição Evaristo. She’s a black writer, and she talks about her experience, you know. She comes from a very poor family, in a country that has a tradition of racism, so she talks about her experience as a black woman in Brazil, and she talks about several other narratives that we usually do not encounter on an everyday basis on the literatures of the country. You come across that occasionally, but not that often. So I think this is a very important issue, to have these writers tell stories that we’re usually not familiar with, that we have not heard before. For example, Adichie, she tells this story of the Biafran War, which was a tragedy in terms of history. She tells that from her perspective, from the perspective of women, from the perspective of a poor boy, in the story. So she gives us the possibility of looking through literature, looking at histories. She and Evaristo also do that. Sandra: I remember that story from when I was a child, I remember the pictures of the children in Biafra dying because of hunger, but I didn’t know the context. So I just read her novel, and it’s very good. I do recommend Half of a Yellow Sun. Nerina Finetto: I mentioned you are not only writing and teaching about women’s literature, but you are also a role model for young women because of your position at the university. How do you see it? Sandra: I think more than being a woman in the university, I think there’s still many women who teach at my university, but they’re not as many women who address the issue of women writers, of gender studies, or feminist criticism, they’re not as many. So, of course, I’ve been doing that for the past 20 years. And I usually say that my role is to teach the younger generation, you know? And I’ve noticed a change. I think the women nowadays are more interested in the subjects. Whenever I teach a course, I have many people wanting to take a course with me because they are interested in what I have to say regarding gender studies, about literature written by women, about feminist literary criticism. So I think it’s my role; my position as a professor, as a teacher, it’s really to teach the younger generation, who in turn will teach younger generations too. So I usually tell them “we have a task, a role to play in teaching them, even in the most basic level.” For example, to watch a film, and be able to criticize the way that women are portrayed in the films, to see an advertisement and see how sexist or how racist that advertisement is, beyond the study of literature. I think it’s an everyday practice. Nerina Finetto: What is the lesson that your students have to learn, if there is such a thing as one lesson? Sandra: To be critical. They have to be critical. They should never take anything for granted, no discourse for granted, no news for granted, no narrative for granted. They do have to be critical about what they are reading; to be able to stand and say “What is behind this? What is discussed here?”. So I usually try to tell them that they do have to be critical, they have to have a critical position regarding either the object of study, or anything that they’re reading or they’re watching. Nerina Finetto: And what is the most important lesson that you have learned from your research? Sandra: Maybe that’s exactly the same lesson that I have learned. That there are many stories being told, that we have to know those stories to start with, we have to know about what other women are writing about, and we do have to be critical about what we read in general. Not only about what women are writing, but what we read on an everyday basis. Nerina Finetto: Was there a turning point in your life that determined who you are now? Sandra: I think I’ve always been like that, I think I’ve always been interested in the topic, maybe because of the way that I was raised. I had a very interesting grandmother. I am of Lebanese descend, so she had a very difficult life in the sense that she was not allowed to study, she was not allowed to do what she wanted to do as a woman. She was a musician, but she wasn’t at the time, she had to get married, to have children, so she didn’t… so she gave me a lot of support, because I always was very much interested in doing research. I was always a feminist at heart. Nerina Finetto: What does it mean to be a feminist? Sandra: It means to have a position in which you believe that you are able to do whatever you want to do without having to tell people that you have the right to. You just do it, you can do whatever or as much as men do, so there should be no limitations. I do believe in equal rights for men and women. Nerina Finetto: What does it mean to you, being a professor? Sandra: This is what I like best about the kind of work that I do. As I said I am an administrator, but I like to be a professor, I like to publish, I like to think. I like to be able to teach my students a lot of the things that I research on. I think it’s a way for you to pass on not only your knowledge, but it’s a way for you to contribute to a better society. I do believe in that. Sandra: As I said, if my students leave my classroom and they learn to be better readers, more critical about what happens in the world, I’m happy with what I did with my job. That’s what I like best. Nerina Finetto: What is the role of the humanities, in your opinion? Sandra: I think all over the world, there is being the evaluation of the humanities. I think we can’t deny that. I think the way that the world has evolved, what has been valued, is usually the exact science, administration, not very much the humanities, which of course I think it’s a mistake. I think the humanities are essential for our world as it is nowadays. Not only because it provides us with the tools to be more critical about what goes on in all other disciplines, but also because it adds to whatever you are doing in the other fields. So I’m very much a believer in the power of interdisciplinary, to your transdisciplinary, that’s what people have been talking about. A world that is not limited to a discipline specifically. Sandra: So because we have moved towards a society that wants results more than anything else, the humanities have been devalued as a profession. Which I think is horrible for the world, and I think, on the contrary, what has to be done, is to have more dialogue among the disciplines, so that the humanities are able to do what it does best, which is to open the grounds for other ways of thinking, to be critical, I think it teaches us how to be critical, it teaches us how to deal with the other. That’s what we have to do all the time, especially in the world we live in. Nerina Finetto: To deal with others and to listen to others. One of your main interests is also translation, right? Sandra: The ideal situation would be for us to know other languages, but since we do not know other languages, the means for us to listen to the other that we would not otherwise listen to, is by means of translation. But that means that the translator has a very important role, the role of mediator. So the translator has to mediate not only the context, but also he or she has to have an ethical responsibility towards the subject whose language this person is translating. So it has to do with cultural diversity. I think in terms of culture, it’s not only translation from language to language. It’s a political positioning as well. Since we cannot learn all the languages of the world, we do need translation so that others can speak through us, and also translators. So I’m interested in that. So I’m working with the Swiss theory of translation as a means to listen to the other. Nerina Finetto: What connection does language have with identity? Sandra: It has everything to do. You are built, you’re constructed through language. The way that you think has to do with the language that you speak. What I’m trying to discuss here is that especially those so-called minority languages, if they’re not preserved, if they’re not translated, if there’s no dialogue with the other language, they’re going to end up simply disappearing, you know? So that’s what I’m talking … the important role of the translator as a mediator. Translators are kind of mediators between two worlds. But this translator is a translator who, especially when you translate from, for example, an indigenous language in Brazil, they need to be preserved, but they also need to be translated, if there’s going to be some kind of understanding between the peoples. Sandra: But for you translate, you have to show respect for that language. Because that language is part of that, an identity of a subject, but it’s also a cultural identity of a people. So it’s important for you to show respect, to show understanding, towards that people. Sandra: An equal society. We live, especially in Brazil, it’s a very unequal society. Few people have a lot of money, and a lot of people don’t have enough. And I dream of living in a society that is more just, more equal in all aspects, [inaudible 00:20:16] gender equality is very important that people … I dream of a society in which people have access to education and to health. And I try to work towards that aim, because I do believe, and I think education has a major role, and I think universities play a major role in countries like Brazil, in which not many young adults are able to get into the universities, so our contribution is to try and put as many students as possible into the university, so that it reaches a way of social mobility as well. It’s a means of inclusion; it’s a way to give them access to things that otherwise they would not have access to. So I think it’s a long battle. It’s not easy, but that’s what I dream of. When we’re a just, equal, fair, inclusive society. Nerina Finetto: With all the challenges that we are facing, do you think that we should keep speaking about feminism? Sandra: It is essential to continue speaking about feminism. It’s essential to do that. I think it’s the way. Feminism has come a long way. It fought many battles, and I think it’s always going to be essential to talk about that. When you still have a lot of violence against women, when women are not allowed to have the same jobs that men do, or the same salary as men do, when women are forced to follow some kind of dress code, because of impositions of a patriarchal society; when all of these are still happening, it becomes even more relevant to talk about feminism. Because it’s about equal rights, about women doing whatever they want to do, having no limitations in terms of what society tells them what they have to do, what they don’t have to do. Nerina Finetto: It is still pretty complicated for women to combine children, a family, with a career, even your research. How do you see it? Sandra: If they want to be mothers, they should be mothers. If they want to have kids, they should have kids. They should do whatever they want to do. We don’t tell men what they should do and what they should not do. Nobody ever told them. Maybe they say “we should not cry, because men don’t cry”, maybe like that, but they’re not … if they want to do something, they should be able to do that as well. So I think women can be whatever they want to do. If they want to be mothers, they should be that, if they don’t want to be, they shouldn’t be forced to be mothers, either. Sandra: I’m not a mother. I don’t have children, but my whole life people ask me “aren’t you going to have children?” What is behind the question is “oh, poor thing, she’s not a mother, oh poor thing”. I don’t feel like that, so it’s nobody’s business. It’s up to me. Because I’m a woman, it doesn’t mean that I have to have children, okay? But if somebody wants to have children, I think they should have. But of course, having children is, the way our society’s structured, is a burden for women most of the time. Not always but most of the time. Why? Because once you have children, it’s difficult for you to have work, to go out and get a good job, you’re responsible for the house. Some women like it, but most of them don’t like it, they want to go out and to do other things, they don’t want to stay home taking care of kids and taking care of the house, but if they do want, and they are happy with that, I have nothing against it. They are not “less” women because of that. Sandra: So then that’s why politics, based on women rights, is also important. We have to give the women the economic conditions to do that if they want to be mothers. Then we have, what, day care for women, they should have maternity leave so that they can take care of their children then come back to work, they have to be protected by law, because if it’s up to society, they’re not going to be protected. Nerina Finetto: What was the most difficult day, and what was the most beautiful one? Sandra: The most difficult day? Possibly one day when I had to face sexism. When I was disregarded for being a woman, when my ideas were not considered, not because somebody doesn’t like my ideas, but because I am a woman, and because of that, my ideas are not valued as a man’s idea. This was a sad moment. Sandra: And a happy moment was recently, actually, when a student of mine took a course with me, and sent me a message. I think those moments, I think sometimes it happens … it doesn’t happen every day, but it happens once a year, somebody sends you a message saying that you made a difference in her life or in his life; I think this is a very good day. That your teaching, the way that you work, what you did in your job, was important enough for somebody to feel that “oh, my life is changed. It changed the path that I was going towards”. Nerina Finetto: Thank you, Sandra, for this conversation. Sandra: Thank you. Thank you, it’s a pleasure. Nerina Finetto: And thank you for watching, thank you for listening, thank you for sharing. And feel free to reach out to me if you have any suggestions. Keep wondering, and see you soon again. Bye and Ciao.